"People can relate to Dee, she doesn't see herself as a celebrity, and perhaps that's to her credit, as I am sure the public don't either, but she has a caring and warm personality, and is sure to be a hit amongst her fellow contestants." Fourteen celebrities entered the Big Brother house on Monday night, for four weeks of fun, sadness, fights and madness, and even if the line-up is not appealing as the previous show, I am very sure of one thing, controversy. So who will be crowned the overall winner? Let's take a look. In first entered White Dee Kelly - available to bakc at [4.6] - famed for her role on the controversial Channel 4 documentary Benefits Street. Dee was immediately selected for a task, her airtime is double most of the other housemates already, and from what I have gathered, is a sure fire hit to make the final three. People can relate to Dee, she doesn't see herself as a celebrity, and perhaps that's to her credit, as I am sure the public don't either, but she has a caring and warm personality, and is sure to be a hit amongst her fellow contestants. She can evade nomination, and sail through to the final very easily. Then followed ex Strictly Come Dancing's James Jordan, [85.0], actress Claire King (Kim Tate), [24.0], ex Gladiator David McIntosh, [140.0], and Kellie Maloney, [5.4], formerly known as boxing promoter Frank Maloney. Kellie entered the house with huge support from the crowd following her recent publicity regarding her gender revelations. Public support for Kellie seems very strong, and providing she keeps away from arguments and bullying, she too could be a potential winner. Following these housemates into the house were former boxer Audley Harrison, [20.0], ex Towie member Lauren Goodger, [90.0], Gogglebox star George Gilby [4.4], B*witched member Edele Lynch, [48.0], and ex Geordie Shore's Ricci Guarnaccio, [85.0]. I can categorically write off all but George, who is definitely one to keep an eye on with his very 'normal and down to earth' personality. Then we witnessed the entrance of The Hills star Stephanie Pratt, [19.0], pintsized American actor Leslie Jordan, [20.0], and American reality TV star Angelique 'Frenchie' Morgan, [70.0]. I would avoid Leslie, I have him down as potentially being a 'walker'. He is not used to sharing his personal space, and he could find it difficult as time passes and the younger housemates wear him down. Perhaps the most interesting housemate of the series entered the house last on opening night, actor Gary Busey, [6.0], who is probably (debatably so) more famous than all his fellow celebrities put together. Gary is hard of hearing, he is the oldest housemate at 70-years-old, and due to a motorcycle accident in the 80s has suffered from permanent brain damage. During this first week, he has upset pretty much every housemate, and has been attacked in return with what could be perceived as unfairly so. Although it is open to debate whether Busey is rude, or not meaning to be rude, if the other celebrities continue to gang up and attack his personality, it could potentially turn the public in his favour. I cannot dispute that Busey will be nominated for eviction at the first given opportunity, however I am not certain he will leave first. I will be keeping a watchful eye upon evictions and backing against him leaving. Like Kellie, he will gain the sympathy vote. The fact he winds up the other housemates is every reason to keep him in the house that little bit longer! I think as soon as James Jordan is up for eviction, he's out of the house, so we'll keep a careful eye on that one also. The early betting has it about right, and rarely do the Exchange players get it wrong on shows like this so you have to respect the top three or four in the betting. 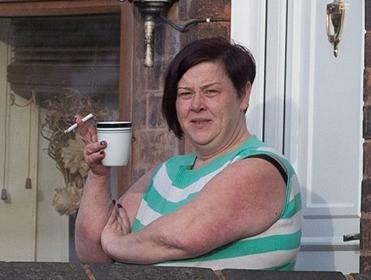 I just fancy White Dee to win however, with George in second and Kellie in third.